Do you like to dress in a style that won't go out of fashion in a matter of months? Perhaps cultivating a classic, timeless simple look is your style. 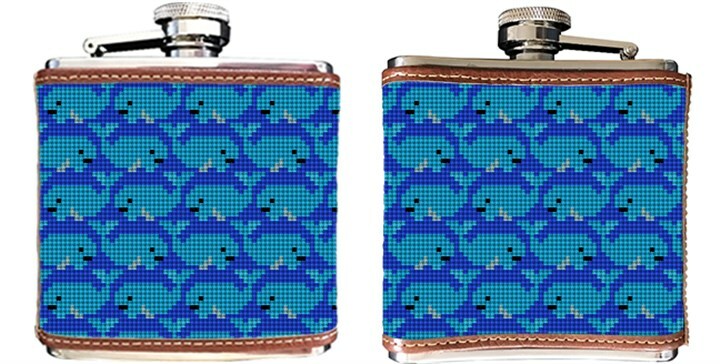 We have created a twist on a classic accessory to compliment your fashion style, with our Preppy Whale needlepoint flask. A fabulous accessory for yourself, or the person who has everything.